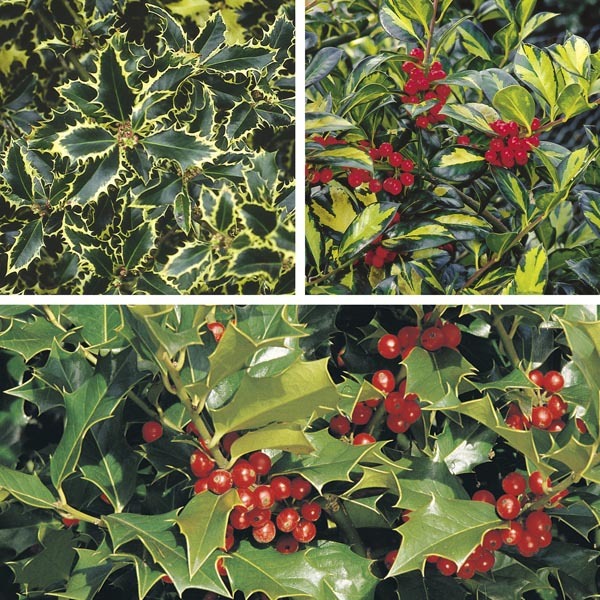 Holly is available in a wide range of sizes and foliage colors. All types have beautiful, glossy foliage and many produce attractive berries that are a treat for birds and other wildlife. This is a great shrub for hedges or foundation plantings, or plant small groups of fruiting varieties to add color to the winter landscape. Cross pollination is needed to get berries so be sure to plant a male near the berry-producing female shrubs. Great for texture in borders, as a hedge or foundation plant.